Lymphedema is a condition that can cause significant swelling of the upper and lower extremities due to the build-up of excess lymph fluid. This can occur when the lymphatic system, which is responsible for draining excess fluid from the body and is a key component of the immune system, is damaged or altered. In breast cancer patients, this can occur after surgery, such as removal or biopsy of the lymph nodes, and/or radiation therapy. It is estimated that six percent to 40 percent of patients with breast cancer develop lymphedema, and that it often occurs within the first two years after surgery. For some cancer survivors and others at risk, a low level lymphedema can occur 10 years to 15 years following the initial primary treatment and develop into a condition that has a serious impact on overall health and quality of life. Mercy Medical Center, a nationally recognized medical facility, has announced the installation of five premium Resona 7 ultrasound machines from Mindray for the hospital's Vascular Center, Paul R. Lucas, M.D., FACS, RPVI, Director, The Vascular Center at Mercy has announced. A study conducted by researchers at The University of Kansas Cancer Center has found that early, ongoing screening of lymphatic function and immediate patient-administered therapies are highly effective in improving outcomes for women at high risk for breast cancer related lymphedema. Scientists at The Scripps Research Institute have solved the mystery of the structure of Piezo1, a member of a family of proteins that convert physical stimuli such as touch or blood flow into chemical signals. An estimated 120 million people worldwide are infected with lymphatic filariasis, a parasitic, mosquito-borne disease that can cause major swelling and deformity of the legs, a condition known as elephantiasis. Professor Charles McCollum, who heads up the vascular studies unit, is a research vascular surgeon, and he developed four-layer bandaging technique, which is the gold standard treatment for healing up leg ulcers by compression. Novartis today announced it has entered into a clinical research collaboration in which Bristol-Myers Squibb will investigate the safety, tolerability, and efficacy of Mekinist (trametinib) in combination with Opdivo (nivolumab) and Opdivo + Yervoy (ipilimumab) regimen as a potential treatment option for metastatic colorectal cancer in patients with microsatellite stable tumors where the tumors are proficient in mismatch repair (MSS mCRC pMMR). Emma Rossi, MD, in the UNC Department of Obstetric and Gynecology's Division of Gynecologic Oncology, has published a study in Lancet Oncology online that identifies sentinel-lymph-node mapping as a safer and less-invasive method of staging endometrial cancer that is equally as accurate as the more traditional lymphadenectomy. Each year, about 1.38 million women worldwide are diagnosed with breast cancer. Advances in diagnosis and treatment have facilitated a 90-percent, five-year survival rate, among those treated. 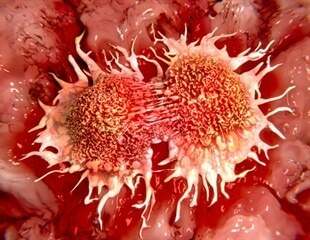 Cancer cells spread to other sites in the body through promoting the growth of new 'roads' to travel on. Morbidly obese individuals--those whose weight is more than double normal weight--are prone to overgrowths in their lower extremities that can lead to infections and other health-threatening complications. Fluid accumulation and swelling (edema) may result from the malfunctioning of regulatory processes controlling vessel permeability in the body. Early diagnosis of cancer is linked to better survival rates. Unfortunately, participation rates for cancer screening worldwide are low even when screening programmes are free. Each year, about 1.38 million women worldwide are diagnosed with breast cancer. Advances in diagnosis and treatment have facilitated a 90 percent, five-year survival rate, among those treated. A study conducted at the Keck School of Medicine of the University of Southern California showed that 9-cis retinoic acid (alitretinoin) could significantly prevent postsurgical lymphedema.